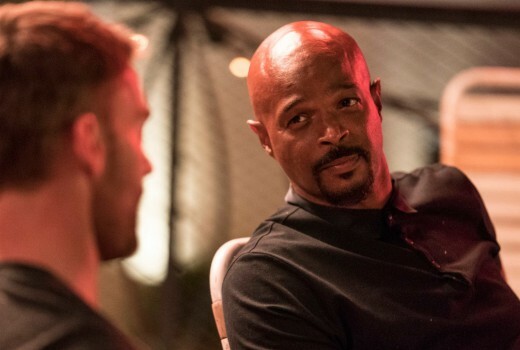 Lethal Weapon is set to lose another star with Damon Wayans indicating he will exit the show in December after 13 episodes of the show’s third season. He said his job was putting too much strain on his personal life, noting that his daughter and mother both had recent surgeries that he missed because of filming. His departure will follow Clayne Crawford’s termination earlier in May. Deadline notes that since Wayans’ statement went public, producers and executives have tried to find out whether his comments were a reaction to physical and mental exhaustion or a well thought-out and final decision. Lethal Weapon has screened in Australia on Nine but not since mid-2017. I’m interested to see how Stiffler goes. But still have to see the second season. Come on nine. I was sorry that Clayne Crawford was fired because he was brilliant as Riggs. Some rumours indicate that it was may have been because of Wayans not getting along with Crawford, not just Crawford’s anger issues or other incidents. I wish Wayans had decided to leave then, and the show could have continued with Riggs getting a new partner after Murtaugh retired. I have been eagerly awaiting Nine to show season 2 (always the worst network at slow tracking US dramas) but now with both Riggs and Murtaugh out I’m not sure if it’ll be worth it. Season 2 is worth watching. I love this show, I’ve spent many days and nights rewatching both season 1 and 2. I was disappointed they decided to sack Clayne, I wasn’t sure if the show could even go on without him,I’ve only seen the first episode of the 3rd season and it was pretty good. Any word on when 9 is airing season 2? They are currently repeating season 1.